ARMO Business Intelligence – Data Warehousing Program. Business Intelligence and Data Warehousing technologies are the most sought out solutions by the industry as they enable decision support and critical cost savings for the industry. BI Analytics from the heart of operations for most of the industry. With the advent of extremely lucrative tolls such as ClickView, users are able to produce reports at the speed of wind. It all depends on organizing the metadata and the universe repository and upon the gold mine fantastic reports at split second can be created to take analytical decisions. 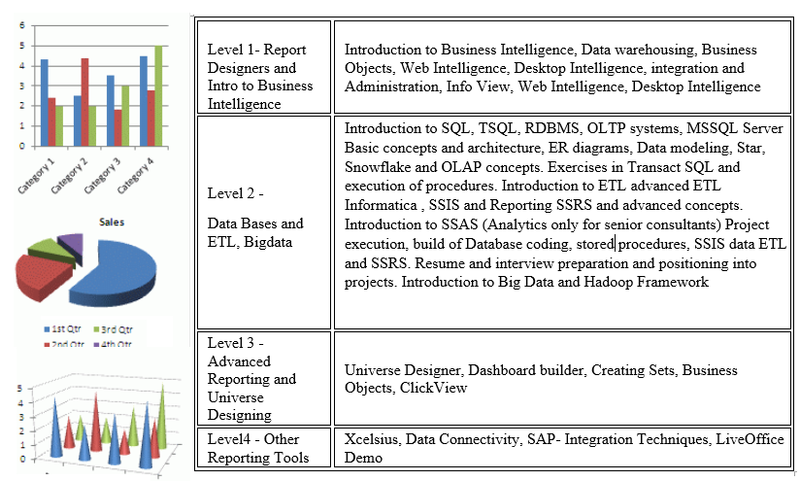 Our course introduces you to a boutique of BI tools and techniques and building data warehouse. A BI Analyst/Developer is the most sought out in the industry. Database Development is the most critical phase for IT project execution where data modeling and database development and administration concepts are applied to build robust data marts and database. The backbone of a Business Application and Business Analytics is the database and database experts are sought out by the industry as they provide the basis of project development. A Database developer/Modeler is the most critical consultant of IT projects. A Career in Business intelligence and Data Warehousing technologies is very rewarding and satisfying. We invite motivated individual’s beginners or experienced professionals who are interested in making a skilled career in Business Intelligence and Data Warehousing technologies. Our course is exhaustive with introduction to warehousing and intelligence technologies and comprehensive instruction in Web intelligence, Desktop Intelligence, Universe Designer, Dashboard, Administration, Crystal Xcelsius, and Integration. We also spend exhaustive time with introduction to SQL Server and SQL server development and TSQL, Coaching on SQL, OLTP (Online transaction Processing), OLAP (Online Analytical Processing or data warehousing), relational database concepts, start schema and OLAP modeling concepts, ETL, (Extract Transform and Load) database administration at a beginners level and introduction to SSIS, SSRS and SSAS technologies. 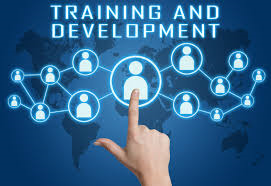 The course is taught using live data and scenarios built out by senior industry experts. To be successful, learners who attend this course must have working knowledge of SQL and RDBMS concepts, OLAP concepts and Pass a SQL test, to be inducted into the course Students who have no prior background of SQL will be guided by our staff to various self-study links on SQL or may participate in workshops and gear up in the SQL area. Students must have a database inclination and excellent communication skills and a strong desire to work in a highly communicative and fast moving world. Students must have done at least one course during their education related to database management. This course can be learned on a self-paced level via webex online recorded lectures. Exhaustive exercises are provided via online links. Peer, mentor and instructor discussions can be scheduled twice a month. After the Completion of the course students are additionally required to finish an assigned project in the time span of 15 to 20 days. The project will be a real-time project. Completion of the project will give students the hands-on experience to perform in the industry. The target audience for this course will be beginners with a US Master’s degree or experienced professionals .SQL working experience is mandatory to attend the course. Students will be able to understand the Business Objects Enterprise interface and architecture, reporting in detail, build complex reports using Web intelligence and Desktop intelligence, Xcelsius. Start of as a junior developer in the industry where Web intelligence is being implemented. Experienced students may be able to participate in Migration activities and Server administration. Experienced students may also be able to participate in data integration projects between external systems and Business objects using Service oriented Architecture Concepts, Query as Web service. Exceptional beginners with service oriented architecture background in their course credits may also be able to participate in integration projects using Query as Web service. Junior developers will be able to get a big picture of the Suite of products and be able to decide their career path. Students will be able to understand the basic techniques of data modeling, ER diagrams, SQL, will be able to write stored procedures, understand relational tables very well and understand start schema modeling very well. Advanced Students will also be able to work on SSIS, ETL and SSRS reports. Start off as a SQL Server developer in the industry. Junior Developers will be able to get a big picture of the Suite of products and be able to decide their career path in which area they would like to do database development and students will be exposed to that technology area as well. Students can chose to be administrators or BI developers. 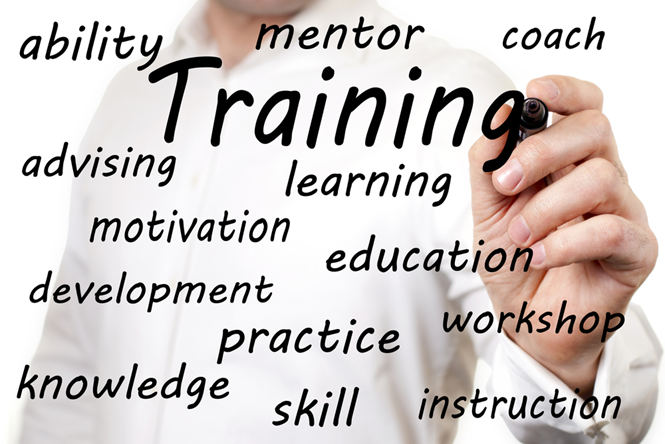 Please call us at 973-917-4139 or email us at training@armo-solutions.com to discuss logistics. Please click on link below to save and print our application form for training; Please email form along with your resume to training@armo-solutions.com and we will contact you promptly.